Cal State San Bernardino became the 5th program to earn a No. 1 distinction in the AVCA Division II Poll release on Monday. The Coyotes, who were ranked 2nd in last week’s poll, collected 28 first place votes and 1,152 points to take over the top spot. 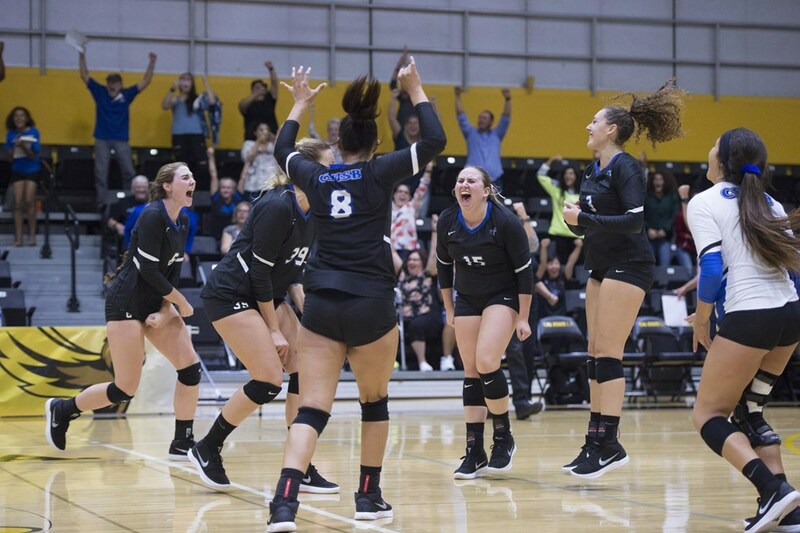 The Coyotes turned in a perfect 3-0 record and extended its win streak to 12 in a row with victories over 25th-ranked Cal Poly Pomona, 14th-ranked Cal State LA and Cal State Dominguez Hills in straight sets. On the season, Cal State San Bernardino is 16-1. Also sitting at 16-1 is 2nd-ranked Northern State, which went 2-0 last week. The Wolves dethroned then-ranked 1st Concordia-St. Paul in 5 sets and Minnesota State in 4 sets to jump up one spot from 3rd in the poll with 15 first place votes and 1,123 points. Following its loss to Northern State, Concordia-St. Paul fell from 1st to 3rd in the Top 25. The Golden Bears, who received one first place vote and 1,078 points, are 14-3 on the season. Nebraska-Kearney (1 first place vote, 1,045 points) and Minnesota Duluth (945 points) came in 4th and 5th this week, respectively. While Regis, who was ranked 24th in week 5, fell out of the Top 25, Michigan Tech jumped in. The Huskies have won 4 matches in a row and are 14-3 thus far in 2018. 4 teams mentioned on only one ballot for a total of 31 combined points. « Should Athletes Specialize or Play Multiple Sports?